Until recently it was not possible to set the default domain password length via GPMC to anything longer that 14 characters (see below). 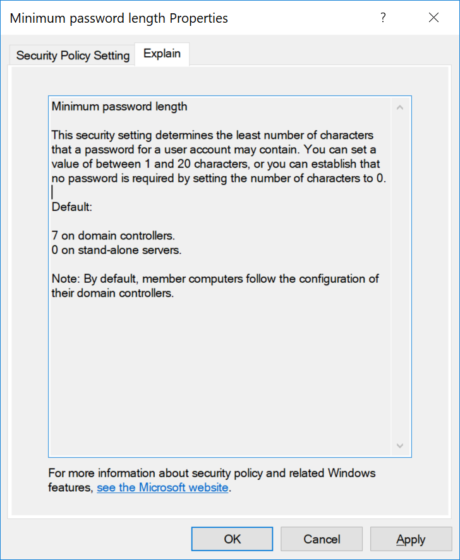 This limit was enforced via the UI but it was possible to set a password value longer manually if the user chose a longer password. Most likely the reason that this limit was enforced was that the LM Password hash limit for Windows 98 and NT 4 was 14 characters. But good news, with the release of the latest version of GPMC for Windows 10 1803 Microsoft has now changed this UI limit value to 20 characters. 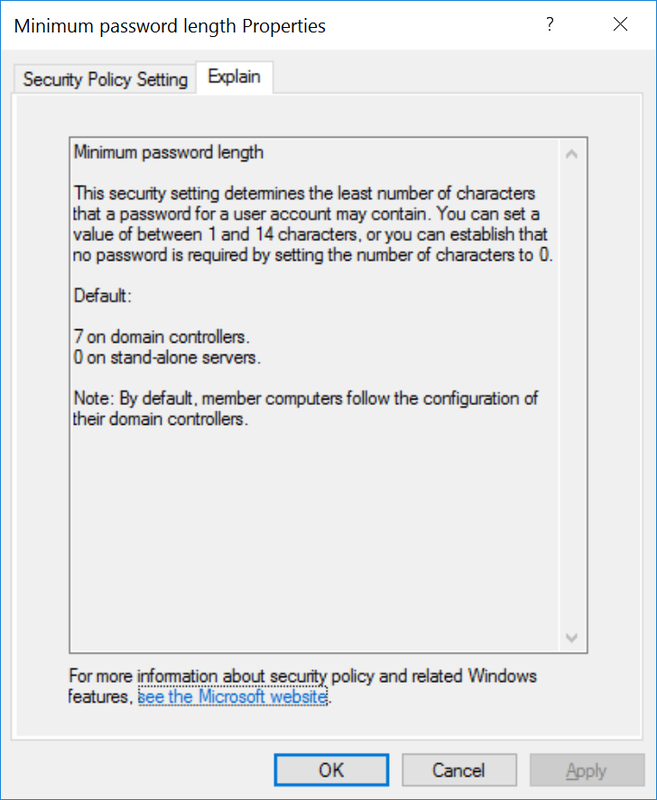 “Older versions of Windows (such as Windows 98 and Windows NT 4.0) do not support passwords that are longer than 14 characters. Computers that run these older operating systems are unable to authenticate with computers or domains that use accounts that require long passwords.”. So as always, test carefully before rolling out this setting and be sure that you do not have any legacy device still running on your domain before you set this option. Another thing to be cautious of is that if an admin attempts to change this setting via an older version of GPMC then it will force the minimum length back to 14 characters. But this is just another reason why you should always have the latest version of GPMC installed in your environment.